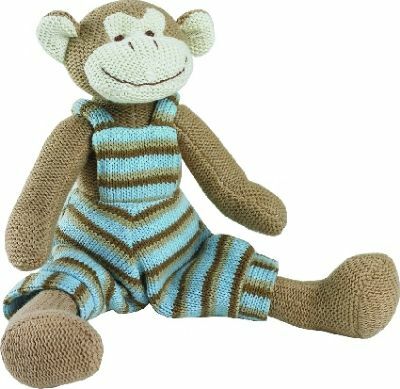 Fab knitted monkey with stripe dungarees. 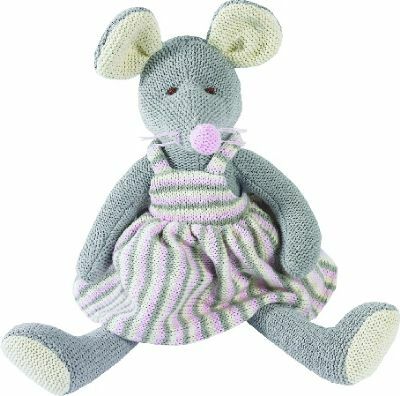 Knitted mouse wearing fab stripe dress. 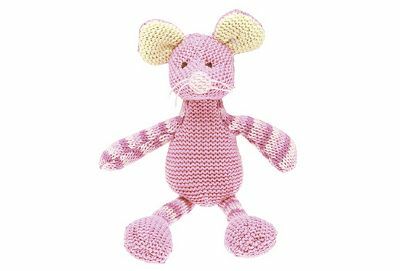 Cute pink knit mouse with rattle.